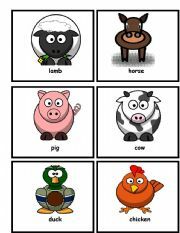 Simple flashcards of farm animals. 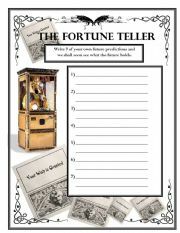 Special thanks to OCAL at clker.com for the clipart. I used these with a song called "Ali Baba´s Farm", which I had never heard before, but they are appropriate for "Old McDonald" also I would say. 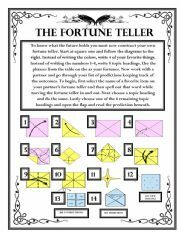 The worksheets connected to the "Ali Baba" song I have yet to upload because they are still too large in file size. 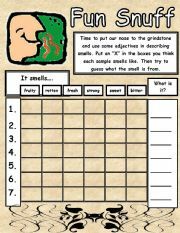 First of 3 worksheets on the sense of smell. This is a short reading passage adapted from another. The questions are my own. Here I tried to stress how the way the sense of smell can help you. Took me a long time to come up with the puns. 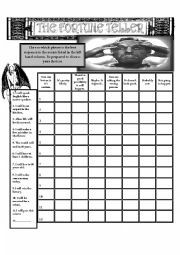 Not really happy with the look of the worksheet. Might update in the future. This worksheet accompanies my TERMINAL PPT. Included is a fill in the blanks exercise on check in procedures and an identifying the different areas of an airport terminal exercise. This PPT can be used to discuss the differences of real or fake photographs. 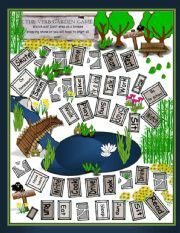 Photos can be changed and the format can be used for any teacher´s preferences of content. 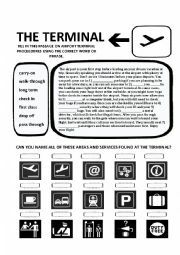 This PPT can be used to discuss locations and services found within airport terminals. 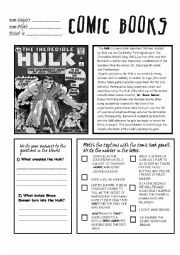 Here is a truncated version of a PPT I did on Comic Book Artists...Begins with some discussion...Some vocabulary related to the job...and then drawing practice (click on the instructions and they fall into place). 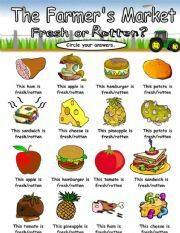 There are worksheets which I will upload ASAP. KINDNESS #3 - A short presentation on some charities. Apologies if your charity isn´t here. 1 of 2. This PPT continues the theme of "Real or Fake" by comparing photoshopped pictures of celebrities with their originals. Students can guess and discuss whether a photo has been "touched up" or not. CLICK on the photo and the answer is superimposed on the original. Exercise for discussing Boarding Procedures at the Termina. CLICK and answers reveal.